Maybe you’ve seen the signs. Dark circles under your eyes, extremely pale skin, and a peculiar rhythm to your speech. If you have these symptoms, you either need more sleep or you’re born to be a horror film host. Such is the case of “Demonic Dan,” down on his luck but offered hope in the age of the internet through his reluctant friendship with Gabe. Together, they host “The Next Door Horror,” a new webseries making its debut on Friday, October 26th. 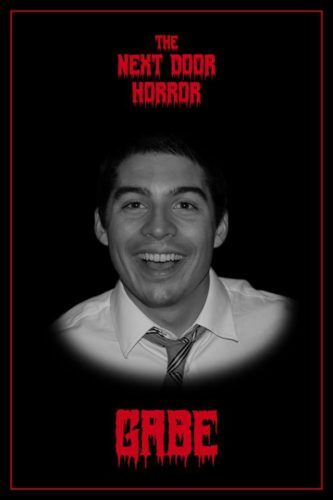 Played by Gabe Sanchez, “Gabe” is the too-chipper money man who dimly worships Dan while trying to figure out just what makes a horror host. 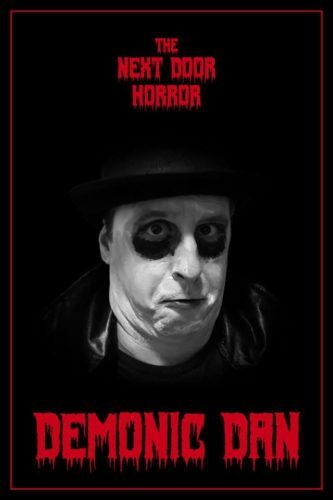 Dan Burt’s “Demonic Dan” may just need a good stiff drink. Together they watch horror movies, eat popcorn, and interview guests. In reality, the pair have committed to 52 episodes, releasing weekly. A multitude of guests will rotate through the show, which so far mostly takes place on the set of “The Next Door Horror.” Dan probably couldn’t stand the sunlight. Check out their teasers, and subscribe to their YouTube page.